Our 2013 Appeal brought in $3720, including 12 new tile orders. Although we fell a little short of our goal, we are very thankful to those of you who included the Falmouth Dog Park in your gifting this year. How many ways to say "Thanks"! Many of you recently received our second annual appeal letter in the mail. We hope you will make any size donation. Remember - we are a 100 percent donation supported park. This park is not funded by the town! 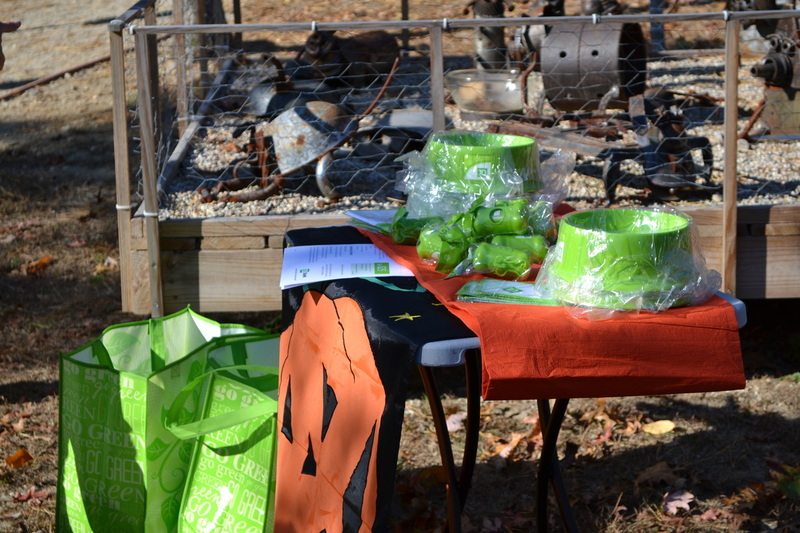 This year, we added a number of great ways you can show your support for the park. 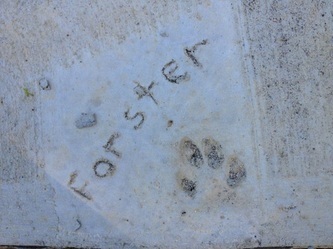 For $5 you can buy a magnet; for $10 a fleece hat or a t- shirt; for $25 a ticket to the June 16th sunset cruise on the Island Queen featuring members of the Stage Door Canteen Band; or for $100, a tile for the dog park wall in honor or in memory of a person, an occasion, or a pet. We will be at the park, weather permitting, the first two weekends in December making all these items available and taking annual appeal responses. 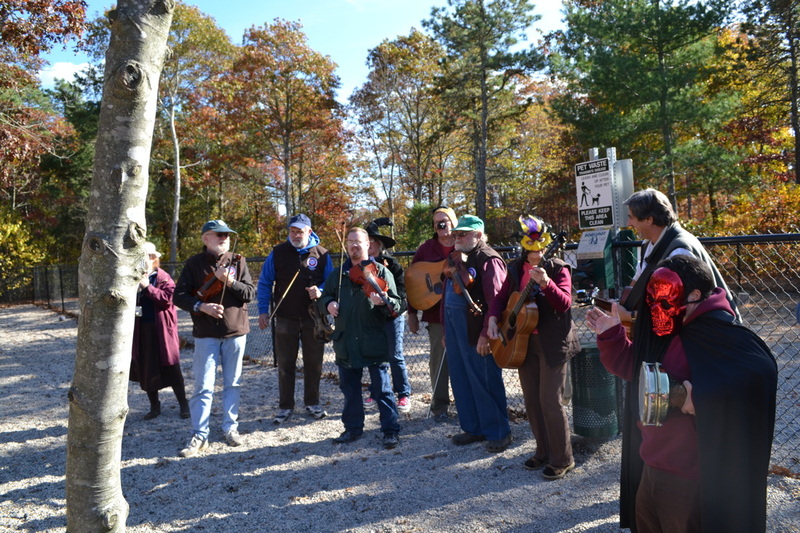 Come see us those Fridays from 2:30 to 4:30, Saturdays from 9 to 11,and Sunday from 1 to 3 p.m. Or call (508- 331-2929) and we will make arrangements to meet you at the park. We also are looking for a few more people to serve as stewards one or two days a month. This is a simple way to help out. It takes only 15 minutes and you select the time of day, and what day you wish to serve as steward each month. Once you are trained, you will receive an email toward the end of the month asking for the day or days you can be steward the following month. Once your day is confirmed, you pick the time to check and possibly change the waste station bags, sweep the concrete pads, and check the park for any loose trash or forgotten poop piles. We hope a few of you will call and offer to help. When enough volunteer each month, each person only takes one or two times monthly. And we would welcome anyone interested in serving on the Board. We meet only once every two months on Wednesdays. And we can guarantee you will enjoy the other members because they love dogs, just like you!. 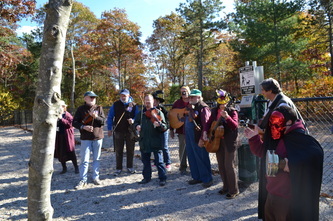 The Board is grateful for all of you who: follow the rules, help with upkeep, donate money and/or time, participate in our activities, save money in your “Doggie Piggy Bank,” build fabulous pieces of art or sheds for the park, sponsor our waste stations, serve as a steward (please thank them when you see them at the park!) 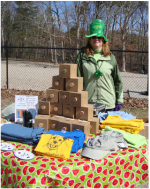 or as a Board member, buy our magnets or hats or t-shirts, take the time to call and report some unsafe behavior or situation, AND for all those canines who come to the park with a great big smile ready to play!! 2014 Wish List: tiles for the wall, more people telling TD Bank they want the bank to donate to us as part of the Affinity program, and great support for our annual appeal (if you didn’t get a letter, please call us at 508-331-2929). While many of life’s journeys are sweeter with a dog by one’s side, a trip to the dog park ranks as a favorite journey for many of our canine companions. Over the past several years, dogs from the Cape and beyond have often journeyed to the Falmouth Dog Park for fun. 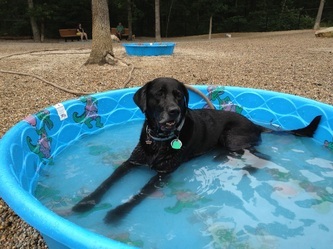 As the Upper Cape’s only dog park, it attracts visitors and regulars including both year-round and seasonal residents, as well as vacationers. Canine regulars know the route and often start to whine, bark or even bay once they near the park as they know that they are on their way to a great time. Some admit they now can’t drive past the park without stopping. The past two years have been full of events, additions and improvements to the park, as well as daily maintenance to keep the site safe and clean. 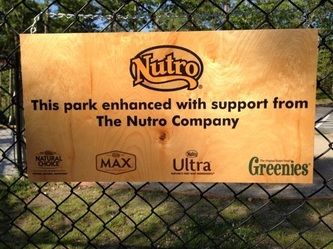 This past year, we added a concrete walkway along the park’s perimeter, thanks to a grant from Nutro Dog Food and an in-kind donation from Witter Concrete of Falmouth. 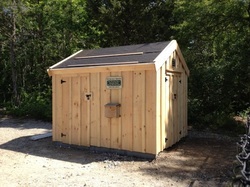 There is now a shed for storage, thanks to an in-kind donation from Nantucket Sheds and Falmouth resident Jim Smith. Volunteers have raked leaves, sand, and spread new pea stone to keep the surfaces at their best. We have even excavated one of the sand pit borders and reset it to make it secure. 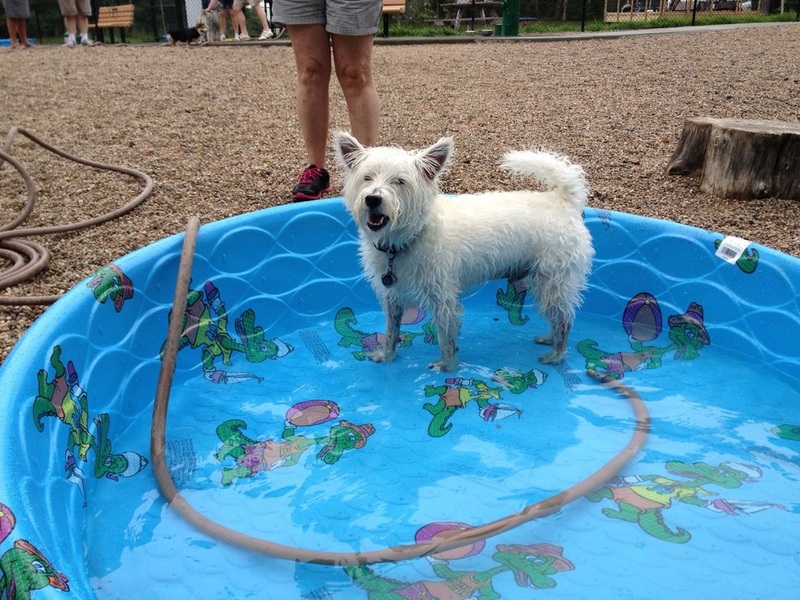 Won’t you consider supporting the Falmouth Dog Park? In addition to needing lots of volunteer hours, maintaining the dog park costs roughly $5,000 annually (i.e. insurance, pea stone replenishment, mutt mitts and garbage bags, website hosting, printing costs and supplies), all of which comes from donations. Fundraising is critical to keeping this park open, safe, and in good condition. We hope you will consider contributing to this year’s Annual Appeal. 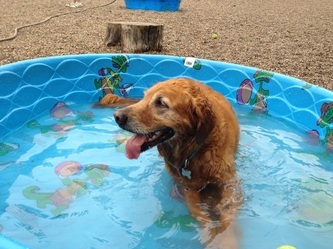 We appreciate all levels of support and encourage you to consider a gift in honor or memory of a special person or dog. Your gift in any amount will help us maintain this valuable town resource. If you are a regular at the park, consider what your use of the park is worth to you and your dog. A gift of $90 represents just 25 cents a day and $180 is the equivalent of just 50 cents a day. This year, as a special thanks for gifts of $100 or more, donors will receive one ticket for the June 14, 2014 Island Queen sunset cruise, featuring Stage Door Canteen. Also new this year – you can give a recurring gift so you can donate the same amount each month, with just one click of a mouse. If a straight tax deductible donation isn’t for you, please consider purchasing one of our special individualized tiles for the wall along the walkway into the park. The first tiles should also be up on the wall by the time you read this. These tiles can be given as a gift, in honor or memory of a pet or person or special occasion. Or you could purchase a few tickets for the cruise; attend our Doggie Bowl on March 16; or get one of our piggy banks to save your change. And we hope you might buy one of our fleece hats; donate some items on our wish list; serve as a steward once or twice a month or join our Board. Many thanks for your support, in whatever form works for you. 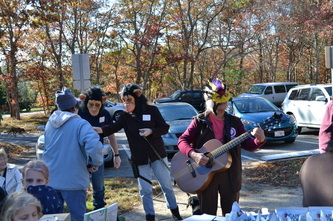 President, Falmouth Dog Parks, Inc.
A HUGE “Thank you” to all of you who made this weekend possible. Thank you to all who helped at the two sites at the Half Marathon on Saturday and all who made the great time at the park possible yesterday. Thank you so much to Terri from TD Bank! 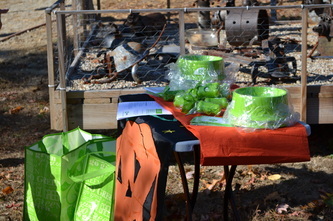 Hopefully her very visible bright green presence and her serving as a judge helped get the word out that TD Bank is here to help us if people will just let them know they have an account and want to link to the Dog Park. 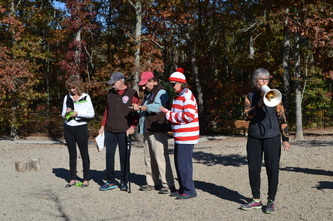 And to Carol from Eight Cousins, decked out in her Where's Waldo outfit- she also served as a judge and brought a whole bunch of wonderful dog-related books for ideas for winter reading or holiday giving.... we will run a list of those titles on our website and Facebook. And of course a big thanks to Black Dog, Falmouth Animal Hospital, Deer Run, Waquoit Feed and Grain, and Eight Cousins for all the hundreds of dollars in prizes we were able to award this year. 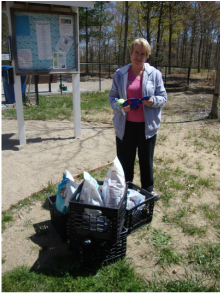 And thanks to all the people who donated treats, especially the Waquoit Congregational Church who gave lots of bags of dog treats! 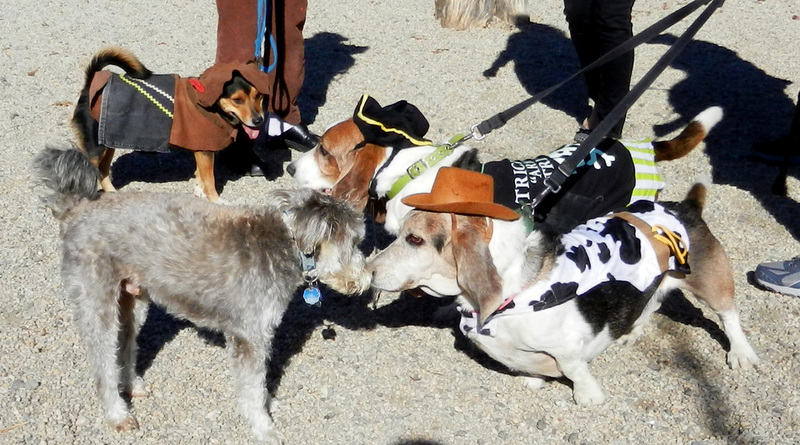 The event was really a success; in fact, some dogs were actually still running around the park playing in full costume 90 minutes after the Falmouth Fiddlers led the march around the park. We were able to unveil our first tiles on the wall thanks to Flying Pig Pottery's Tessa Morgan and to Dave Dimestico who secured the tiles to the wall in time for the event. And I am convinced that the Falmouth Fiddlers bring us good weather and make the dogs all behave as we again didn't have one incident even though the entire event is quite chaotic at times..... Thank you to all of you. 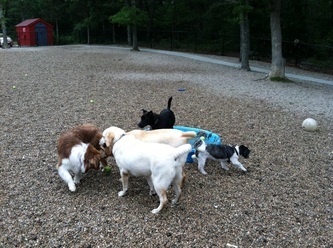 It was a great day for dogs, and humans and even the Patriots and the Red Sox!!!! We took in some donations, including our first envelope for this year's annual appeal, and we sold a number of hats. Every little bit helps! 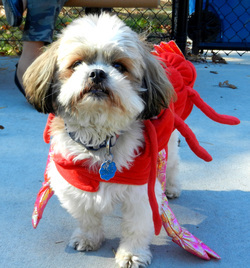 Our next event isn't until the March 16 Doggie Bowl and Piggy Bank turn-in. First, if your dog wears a prong collar, please remove it before entering the park. We actually had an incident where a prong went through the lip of an unsuspecting dog, causing some unnecessary harm. Second, if your dog shows any signs of illness, especially respiratory infection or diarrhea, please refrain from coming to the park until your dog is healthy. There is a respiratory virus going around the area and it is highly contagious so please seek vet care for your dog and do not come to the park until any infection is under control. Third, we are very excited about the end of October. We will be once again manning two tables handing out water and Gatorade to runners competing in the Half Marathon competition. We are very grateful for those who volunteer to help us do this as it is yet another way we raise funds for the Dog Park. If you want to help out, call us - we can use you that morning of Oct. 26th. Call the number to the right to see about manning one of our tables. Fourth, each time you come to the park, please remember that there is always something you could do to help, if you have a few extra minutes. Grab a broom and sweep the stones off the sidewalks. Grab a rake and remove leaves from the sand areas (just throw the leaves over the fence). Pull a few weeds, or pick up any garbage inside or outside the fenced area. Or pick up any poop others have left behind. All of those jobs help the volunteers who generously give of their time each month to maintain the Dog Park. If you would have one or two days a month to give 15 minutes, please join our volunteers. Just call the number below and we will gladly find a way for your available time to fit our list of needs!. Finally, thank you to those who have started to donate items to help us whittle away at our wish list. We still need: gas trimmer, battery or gas operated blower, metal shovel, snow shovel, boxes of rubber gloves-S,M and L, weed digger, cleaning rags, Dawn detergent, basket for weeds, lawn mower, and hose. If you can donate any of those items, simply call 508-331-2929 and one of us will meet you at the park to accept the donation and give you a tax letter. Over the course of the last few years, our sandpit play area has seen a lot of activity. The sand had built up in the low area, leaving the higher area without much sand. Further, the barrier that separated the sand from the stones had fallen over. Today, volunteer Board members Ursula and Frank, along with Board Chairman Barbara Schneider, and honorary member Gary Schneider went to work. 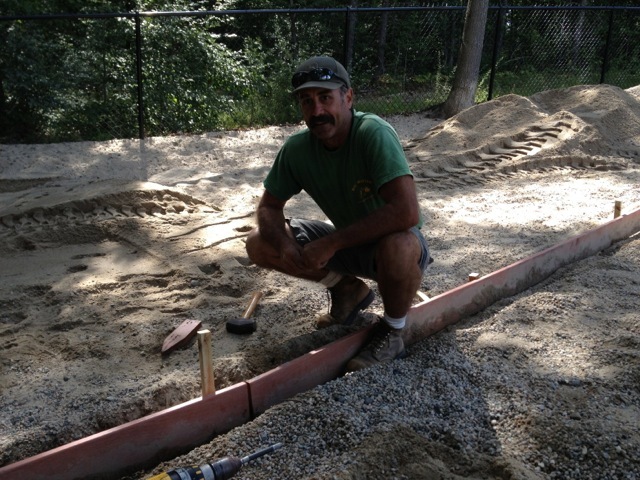 And it could not have been done without the efforts, skill, and heavy equipment of Bill Witter. The result is a restored sand pit area that will last for years. And a special thanks to the folks who happened to be at the park and helped to rake the gravel. What a team effort. Now you can donate with a monthly subscription! We have added the ability for you to contribute monthly to support the dog park. With this new option, you can use PayPal to set up an automatic, monthly donation in the amount of $5, $10, $20, $25, or $50. This is an easy way for you to help provide ongoing support of the park. If you would like to use this new feature, visit the Donate page and click the "Subscribe" button. Our annual pool party was held on Saturday, Aug 3. Despite a few showers, everyone had a great time. 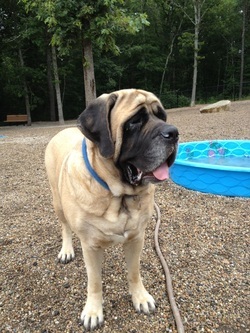 Denali, shown here, was in charge of security. A few of our other guests are shown below. Thanks to everyone who came and helped. Check out some of our other photos, below. And take a look at the short video, which I've entitled "Game Over". Our new shed is in, thanks to Jim Smith of N. Falmouth, and Nantucket Sheds. It is beautiful, and built to last with post and beam construction and full dimensional eastern pine. It will give us many years of use. Soon, it will be roofed and painted. Now, to fill it with the tools we need. Take a look at our wish list to see if you have anything we could use. This article was written by Barb Schneider, our President, for the June Newsletter. (You can download the newsletter here). "Our town is very lucky to have a truly caring animal control staff. And for good reason, that staff gets worried about the decisions pet owners make that put animals at risk. Right now, we all think the weather is still on the cooler side. We probably don’t think a dog would be at risk when we run into the grocery store or the pharmacy. Animal Control hopes you all will think twice before doing this. So please think twice before you take your dog along for the ride when running errands. And if you spot a dog that appears to be under duress in a car, please call Animal Control or the police. 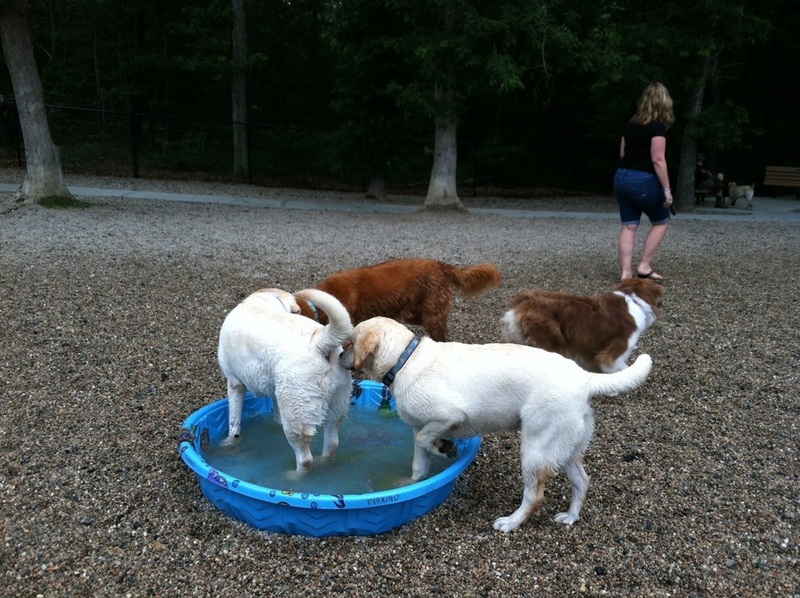 The second concern is one directly related to the Dog Park: What should you do if a dog shows less than appropriate behavior? This issue has come up lately because of several incidents at the Park where dog owners didn’t follow good practices and these turned problematic. 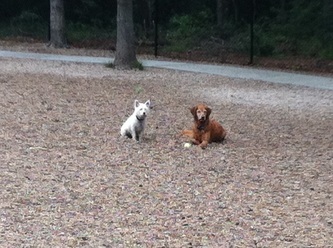 Remember that key to enjoying the Dog Park is sometimes to know when to leave! That applies if your dog is the aggressor and if your dog is the victim! If the attack merits more help, call 9-1-1 which is the quickest way to get Animal Control help. Once you have the dog out of harm’s way, get the name and contact information from the aggressor’s owner. It isn’t enough to describe the dog. If that owner won’t cooperate, jot down the car license plate number or take a photo of it. Then call Animal Control ASAP. If your dog is the aggressor, you still need to call 9-1-1- for Animal Control. If there was an actual bite and puncture, your dog will be quarantined for 10 days as mandated by the Commonwealth in an effort to control and track rabies. Quarantine simply means that you must keep the dog on your own property and it must not be exposed to any other animals or humans outside of the immediate family. Animal Control will check on the dog at the end of the quarantine and if all is normal, quarantine will be lifted. If there is no actual wound, call animal control just to keep them informed and to place the animal on their radar, but don’t use 9-1-1- for that type of call." What we still could use in help: We need stewards, Board members, people willing to just help out on a committee, people willing to trim or cut grass once in a while, donations to help fund the park (remember - we get zero money from the Town - the Park is totally funded by private donations), people and companies to buy our tiles to be able to start to fill the sidewalk side of our Cleo’s Corner, another donation for a bench, and great photos to add to our website and facebook page. Remember, if the park has value to you and your dog, make sure to find one or more ways to be supportive. WE CAN”T DO THIS ALONE! Our new walkway is in! Thanks to a grant from The Nutro Company, and to the fine workmanship of Bill Witter, our new walkway has been completed. This walkway encircles the large dog area of the park, inside the fence. It provides a nice, wide path around the park to get from the entrance to the shade benches. The walkway was designed with nice, gentle curves and winds its way through the trees. Barb Schnieder's dog, Forster, gave it the stamp of approval! Stop by and enjoy this welcome addition to our Park. 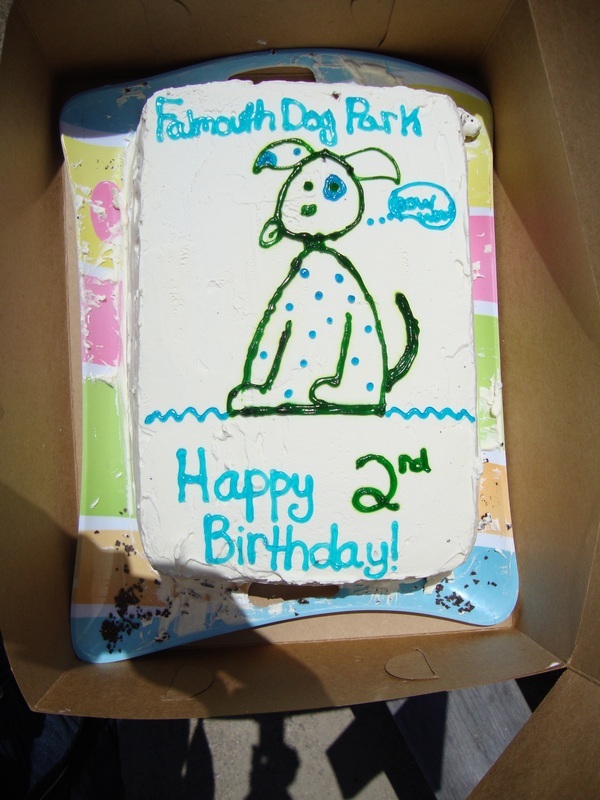 Our Second Birthday Party was held at the park on May 5. 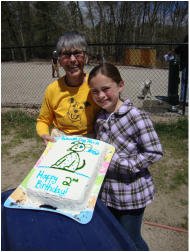 Shown here is Barb Schneider, Dog Park President, and Ella Ashley of Grade 3 at the East Falmouth Elementary School. Ella designed the birthday cake that was served at the party. 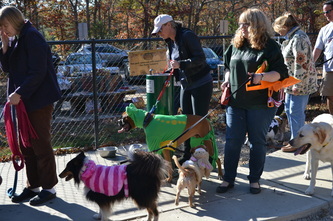 Park visitors were able to meet with other board members, meet with representatives from TD Bank, have their pets protected from kennel cough by Dr. Alfano, and contribute dog food and treats to the Falmouth Service Center. My name is Jacob Spevack. 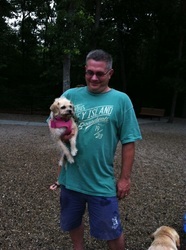 Recently, as a part of my becoming a Bar Mitzvah, I spent some time volunteering at the Falmouth Dog Park. 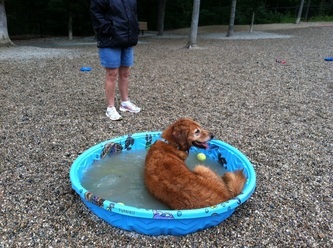 The dog park is a place that I, as well as my dog Skipper, enjoy going to. 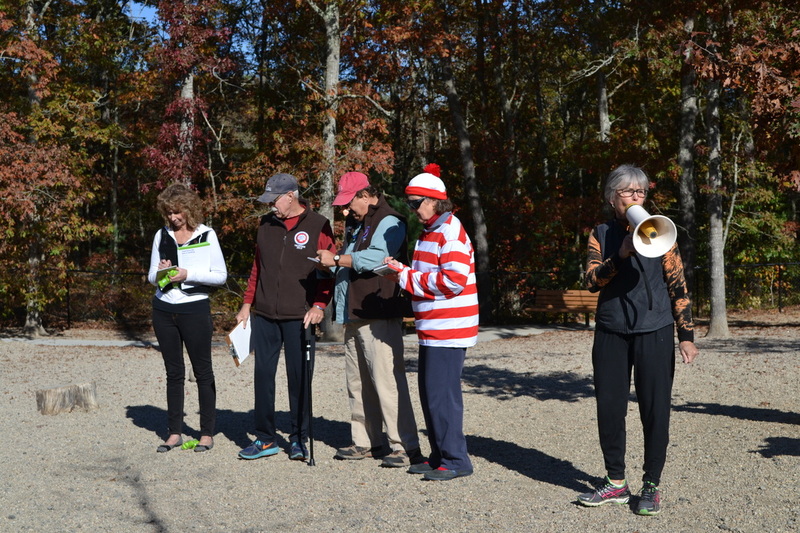 I first heard of the dog park from Ms. Pamela Rothstein, Director of Lifelong Learning at the Falmouth Jewish Congregation, who helped to establish the park in 2011. Our class was discussing ideas for a Bar or Bat Mitzvah project, which is a community service project completed by all kids becoming Bar/Bat Mitzvahs at the Falmouth Jewish Congregation. I immediately knew that this would be the perfect project for me for many reasons. The biggest reason was the fact that I love my dog, but wish he had more chances to play in wide open space, and socialize with other dogs. 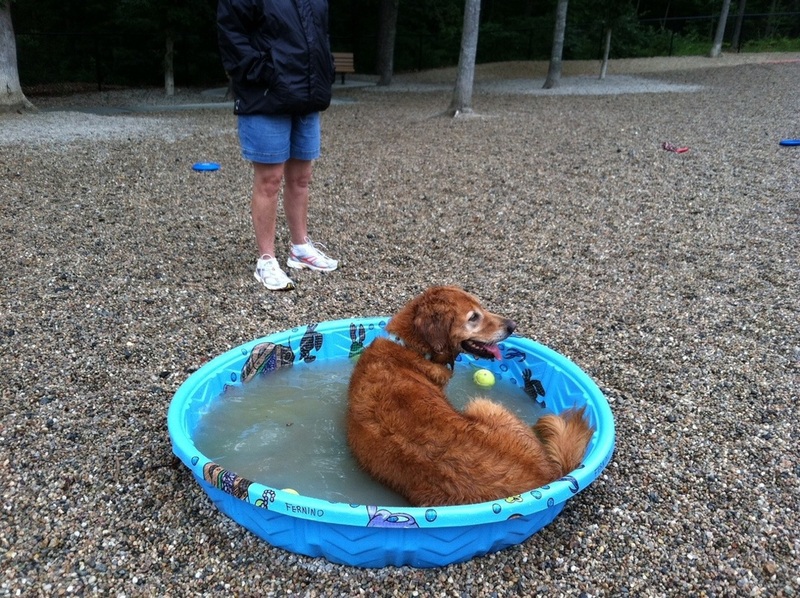 The Falmouth Dog Park presented this exact opportunity. The first time I volunteered for the dog park was at a fundraiser where we gathered coins from the community in order to raise money to help fund the park. 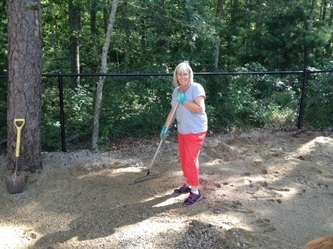 At this event, I met many of the other volunteers, including the Dog Park Committee Chairperson, Ms. Barbara Schneider, all of whom are wonderful people who devote so much of their time and effort to the park. After I initially met Ms. Schneider, I was able to arrange multiple dates to come to the park and help in a variety of ways. One of these ways is the job of stewarding, which is essentially taking the bags of waste from the park and delivering them to the dumpster a short distance away. While this may seem like an unappealing job, and is only one of the many ways to help the park, for me it was a great way to get involved. It was a lot of fun for Skipper and me to meet many other volunteers as well as the dogs who come to the park and their owners. 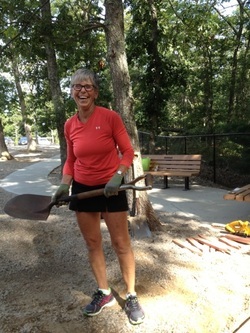 I also helped out with multiple fundraisers for the park and joined others from my synagogue one day last spring when we went to the park as a group to help with landscaping and other work that needed to be done. I am planning on continuing to help out with the park when I can, because the time I have spent there has definitely been time well spent. 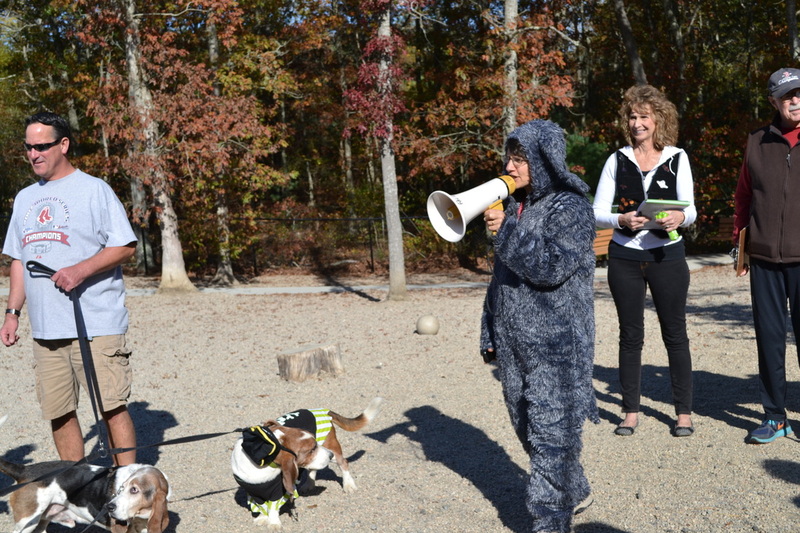 We recently asked the East Falmouth Elementary School students for help in designing an ad for the Falmouth Dog Park. 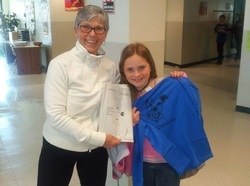 Our winner, Ella Ashley of Grade 3, is shown with Dog Park President Barbara Schneider, accepting her award. Be on the lookout for Ashley's ad appearing soon in The Enterprise. Also, stop by the park on May 5th to help celebrate the park's birthday and to see the other art submitted from the school. Thanks, Ashley! Thanks to the sponsors for our Doggie-Bowl bowling tournament. Our sponsors this year were Falmouth Police Patrolman's Federation, Falmouth Animal Hospital, Falmouth Toyota, Northeast Equine Apparel, Smitty's Ice Cream, Deer Run Veterinary Services, The Enterprise, Michael Galasso , Uptown Dog Cape Cod, Falmouth Visitor, Green Harbor Waterfront Lodging, Board Stiff. 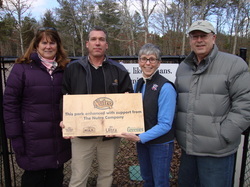 Wayne Renfrew, Regional Manager for The Nutro Company presents Falmouth Dog Park President Barbara Schneider with a sign to commemorate the grant that we were awarded. Board members Helen Kennedy and Frank Fernino were on hand for the presentation. This generous grant from will allow us to build a walkway inside the park to link our bench areas. This will make it much easier for our human guests to get around the park. A big THANKS! to The Nutro Company for this generous gift. Thanks to everyone who participated in the Coin Collection. We collected over $550 in donations and sales! We also collected a bunch of coins from Argentina, England, Malaysia, and some Asian country as well as several Euros, and some coins that had seen better days. Plus, we signed up two new Stewards! If you still have a bank with coins that you would like to donate, please contact us. Great day for the Dog Park.